The Victoria African Cultural Society/AfriCaFest productions was founded on October 19, 2012. It is under this strong uniting theme that Victorians will celebrate the 26th edition of Black History Month: more than 20 cultural and social activities revolving around the achievements of the Black community. From January 13st through the 28th, the public is invited to get to know Black culture in all its forms, as infused into all these shows, exhibitions, conferences, screenings, and galas. -MAMADOU DIABATÉ (https://www.youtube.com/watch?v=DfkEzpFAc7o) . Mamadou Diabate was born into a traditional musician family (Sambla people) in Burkina Faso (West Africa), with a long tradition of practicing the profession of storytelling and music making. - The choreographer and dancer MERLIN NYAKAM (https://www.youtube.com/watch?v=YGzSlWzwK_4) . Born in Cameroon, Merlin has reached an international status for his interpretations and teachings of African and Afro-Contemporary dance. Merlin has and continues to enchant audiences around the world. Ottawa-based percussionist Akra Soumah as well as our local and regional artists. Wednesday, January 31, 2018 | Antechamber- Victoria City Hall , 1, Centennial Square| 5 - 8 pm. P.S. Donations will be welcome to help offset the cost of hosting this event. We all need role models – people that inspire us to outdo ourselves. Production Pulchérie Mboussi/Black History Month shares profiles of people within Black communities who, through their accomplishments, have had a remarkable impact on our society. Often working in the shadows, these women and men have avoided potential pitfalls through their uncommon devotion, determination, and passion until they finally reached their dreams. Productions Pulchérie Mboussi/ Black History Month is keen to pay tribute to such individuals by letting others know about their varied accomplishments. 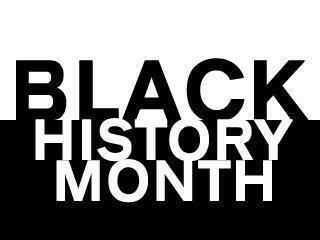 Those selected as laureates will be presented in the Black History Month Magazine available free of charge. The BHM Magazine is the heart of Black History Month. Each laureate profile contains within it a lifetime of effort. Their journeys lend confidence to every generation, particularly young people who are visible minorities and whose sense of identity is still forming. These 5 positive figures contribute to the common good of our society and are deserving of this spotlight. Prepare to be captivated from very the first sound. Deeply immerse yourself in African roots through African instruments, traditional rhythms, and a fusion of dancing styles. Let the rhythm move you and don’t repress the urge participate! Witness a spectacle of the senses with Issamba. -MAMADOU DIABATÉ (https://www.youtube.com/watch?v=DfkEzpFAc7o . Mamadou Diabate was born into a traditional musician family (Sambla people) in Burkina Faso (West Africa), with a long tradition of practising the profession of storytelling and music making. - The choreographer and dancer MERLIN NYAKAM (https://www.youtube.com/watch?v=YGzSlWzwK_4). Prepare to be captivated from very the first sound. Deeply immerse yourself in African roots through African instruments, traditional rhythms, and a fusion of dancing styles. Let the rhythm move you and don’t repress the urge to participate! Witness a spectacle of the senses with Issamba. TRANSCEND YOUR SENSES and become the rhythm. In collaboration with La Société francophone de Victoria. Thursday, February 15, 2018 | École Victor-Brodeur | 6:30 - 9 pm. In 2005, Michaëlle Jean became the Governor General of Canada. A dedicated journalist and citizen of the world, she devoted her mandate to youth, women, Indigenous people, and culture, promoting social change and international diplomacy. In 2010, the tragic earthquake in Haiti took her back to her native land.Michaëlle Jean: A Woman of Purpose is an insider’s look and a thoughtful portrait of the woman and the stateswoman. Saturday, February 24, 2018 | Cedar Hill Recreation Center, 3220 Cedar Hill Road | 6:30 - 12:30 a.m. The Closing Gala is a festive night of educational, entertainment, food, music, and memorable speakers.. Celebrating our 26th Canadian commemoration of Black legacy and honoring our community True Role Models. The closing night for the 26th edition of Black History Month will be held in the Auditorium of Cedar Hill Recreation Center on 3220 Cedar hill Road from 6:30 to 11:30p.m. Wednesday 6- Thursday8, February , 2018 | CDI College | 950 King St. Dancing with Merlin NYAKAM you will have the unique opportunity to discover a body work based on the use of energy from the earth to the sky as part of African dance and rhythms.